Abstract: Clay minerals are ubiquitous in surface environments and are closely associated with organic matters therein. Previous studies found that the expandable interlayers could effectively protect organic matters from mineralization in microbial-induced redox environments. But the specific mechanism is still unknown under high temperature. In this study, a model organic compound, 12-Aminolauric acid (ALA) and nontronite were used to synthesize organo-clay mineral composites. 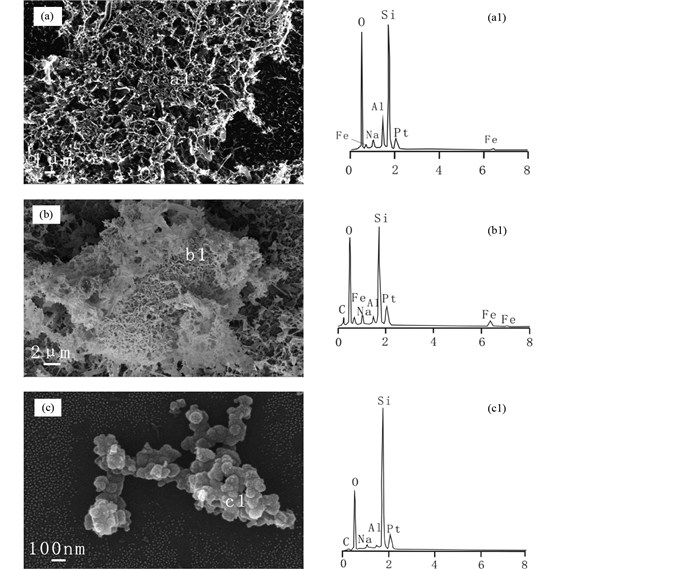 Various wet chemical and mineralogical methods were used to characterize the structural changes and ALA desorption from the composites after the bioreduction by two high temperature iron-reducing bacteria, Thermus scotoductus SA-01 and Geoglobus ahangari. Results showed that both bacteria could effectively reduce the structural Fe(Ⅲ) in nontronite. 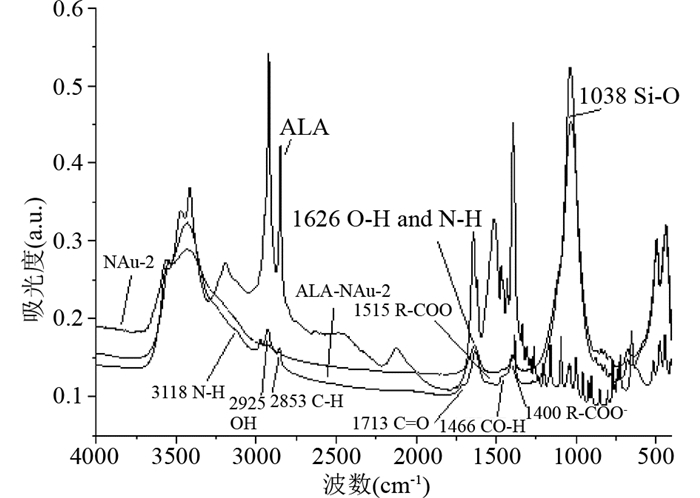 The presence of ALA in the interlayers of nontronite and its sorption on the mineral surfaces would interfere with the electron transfer between the structural Fe(Ⅲ) and bacteria, thus slowing the reduction rate. Reductive mineral dissolution resulted from microbial reduction of nontronite controlled the desortion of ALA from NAu-2. 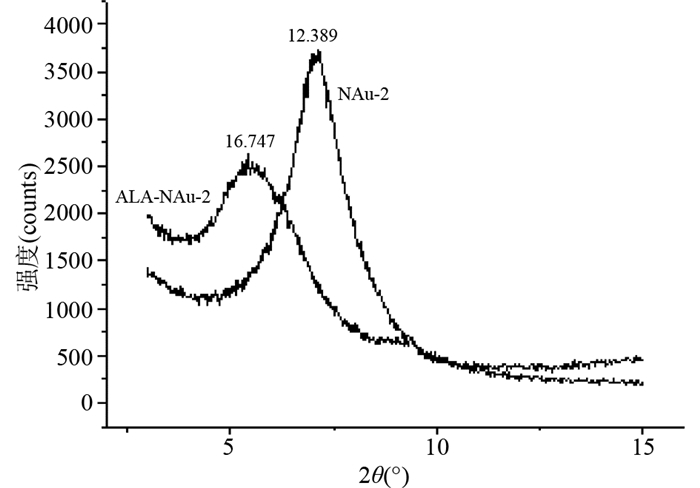 High temperature slightly promoted the mineral dissolution and desorption of ALA from the interlayers of NAu-2. 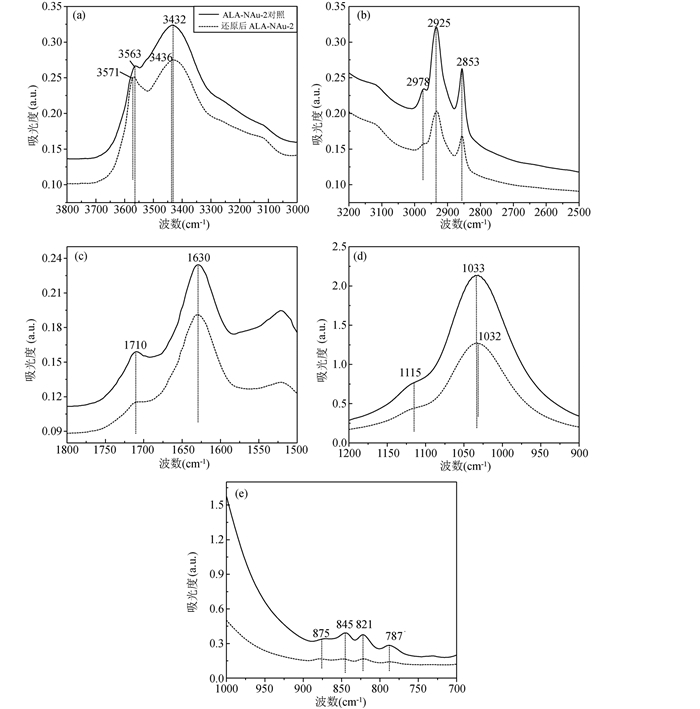 Nano-sized silica was observed in bioreduced reaction groups. The presence of ALA did not seem to affect the secondary mineral formation. In summary, due to the limited microbial reduction extent of structural Fe (< 30%) and the progressive microbial reduction pattern of structural Fe(Ⅲ) (from edge to the interior), there were still considerable amount of ALA preserving within the interlayers after the bioreduction ceased. These results demonstrate that the interlayer regions of clay minerals can serve as effective places for preserving the organic matters even under high temperature. These results also have important implication for petroleum generation as the interlay regions of clay mineral are considered to be important sites for this reaction. Kashefi K, Tor JM, Holmes DE, Gaw Van Praagh CV, Reysenbach AL and Lovley DR. 2002. Geoglobus ahangari gen. nov., sp. nov., a novel hyperthermophilic archaeon capable of oxidizing organic acids and growing autotrophically on hydrogen with Fe(Ⅲ) serving as the sole electron acceptor. International Journal of Systematic and Evolutionary Microbiology, 52(3): 719-728. Kieft TL, Fredrickson JK, Onstott TC, Gorby YA, Kostandarithes HM, Bailey TJ, Kennedy DW, Li SW, Plymale AE, Spadoni CM and Gray MS. 1999. 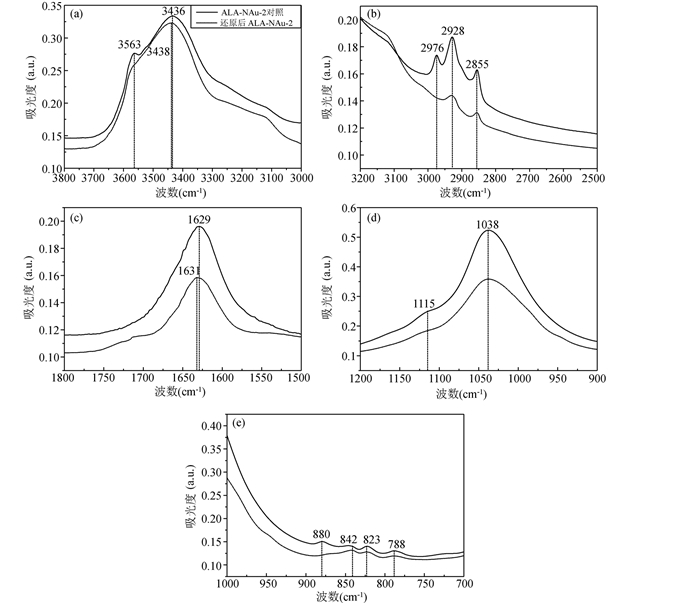 Dissimilatory reduction of Fe(Ⅲ) and other electron acceptors by a Thermus isolate. Applied and Environmental Microbiology, 65(3): 1214-1221. Konhauser K. 2007. Introduction to Geomicrobiology. London: Blackwell: 20-25. Shi BJ, Liu K, Wu LL, Li WQ, Smeaton CM, Beard BL, Johnson CM, Roden EE and Van Cappellen P. 2016. 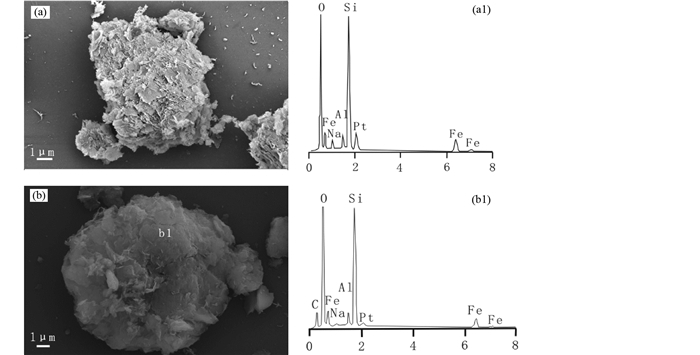 Iron isotope fractionations reveal a finite bioavailable Fe pool for structural Fe(Ⅲ) reduction in nontronite. Environmental Science & Technology, 50(16): 8661-8669. Sombroek WG, Nachtergaele FO and Hebel A. 1993. Amounts, dynamics and sequestering of carbon in tropical and subtropical soils. Ambio, 22(7): 417-426. Stucki JW, Goodman BA and Schwertmann U. 2012. Iron in Soils and Clay Minerals. Dordrecht: Springer Science & Business Media: 1-25. Zhao LD, Dong HL, Kukkadapu RK, Zeng Q, Edelmann RE, Pentrák M and Agrawal A. 2015. Biological redox cycling of iron in nontronite and its potential application in nitrate removal. Environmental Science & Technology, 49(9): 5493-5501.